Two beautiful floors for your to relax and enjoy your time with us. 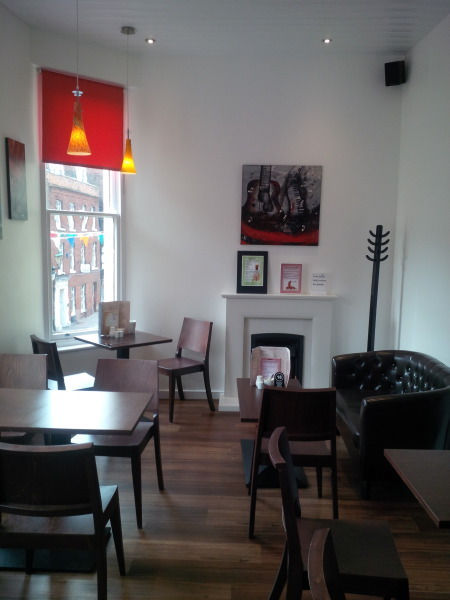 Overlooking the high street you can sit back and unwind on our sofas surrounded by original pieces of artwork. We re happy to take booking for special occasions or meetings and the Lorenzo lounge provides a perfect environment to enjoy your stay. 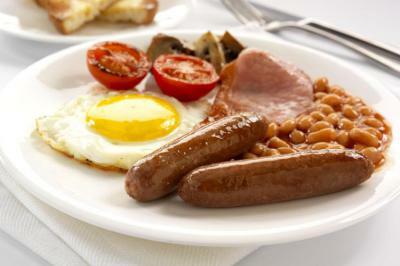 We are course quite famous for freshly prepared food and quality of service. guettes, Paninis, delicious pastries and of course our large range of hot beverages and smoothies made on the premises. One of the most popular dishes is the Eggs Benedict with its recipes variations as well as our all day breakfasts. We do hope you enjoy your time with us here and we are proud to be celebrating 30 years in the high street. We never assume that we are not faultless but we genuinely try hard to please all our customers.